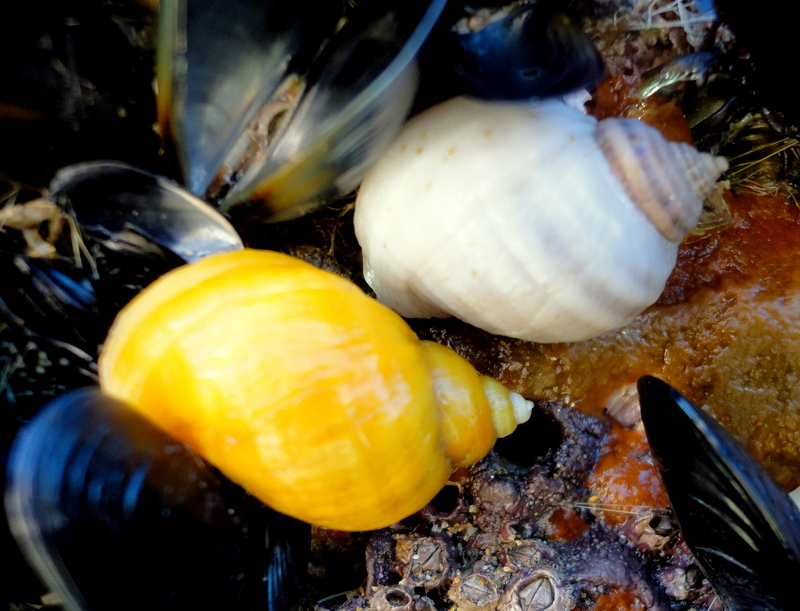 Who hasn’t picked up bright coloured shells on a sunny beach? It’s a lovely activity that you can even do when the tide’s in. Shells are light and easily pushed in by the waves. You’ll often find a line of them among the sand or shingle near the top of the beach. 2. Check each shell carefully. Look deep inside the shell. If there’s an animal inside, put it back as it might be alive. Also, if you take a dead snail home it will start to stink. If the shell has two halves, like a clam, only pick it up if its open. If it’s closed there’s probably an animal inside. 3. Find out what each shell is. Can you organise them by species? Take a shore guide with you or print off the photos below. Here are just a few of the many UK species. 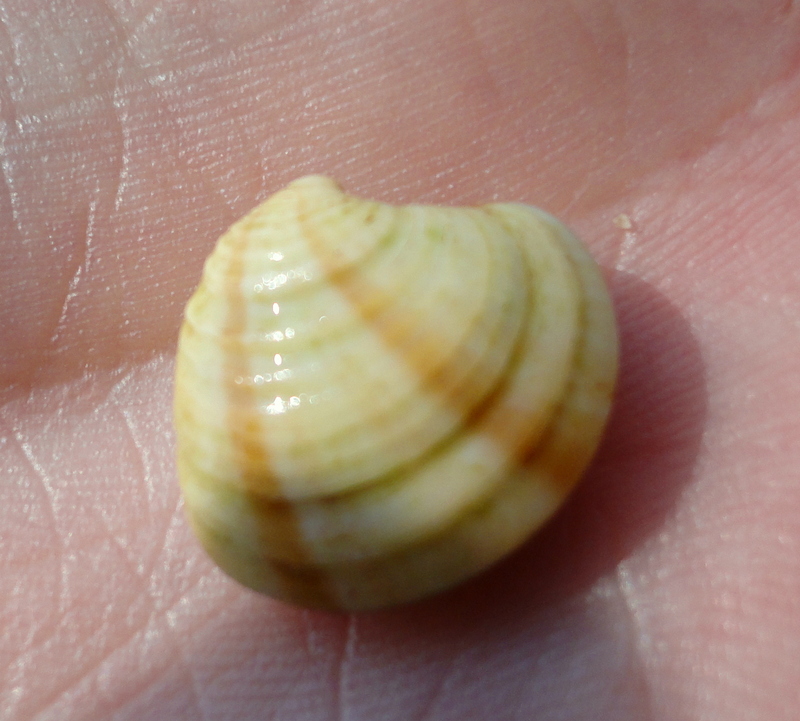 If you’re not sure what your shell is, take a photo and share it with me, your local Wildlife Trust or ISpot. I’d love to hear about your finds. These are shells have a single opening underneath. They tend to clamp down on seaweeds and rocks to keep moist while the tide’s out. Look at the shape of snail shells. Are they pointy or flat? Look underneath the shell – is the opening round or does part of it jut out? Is the inside white or a dull colour or have a mother-of-pearl rainbow shine to it? 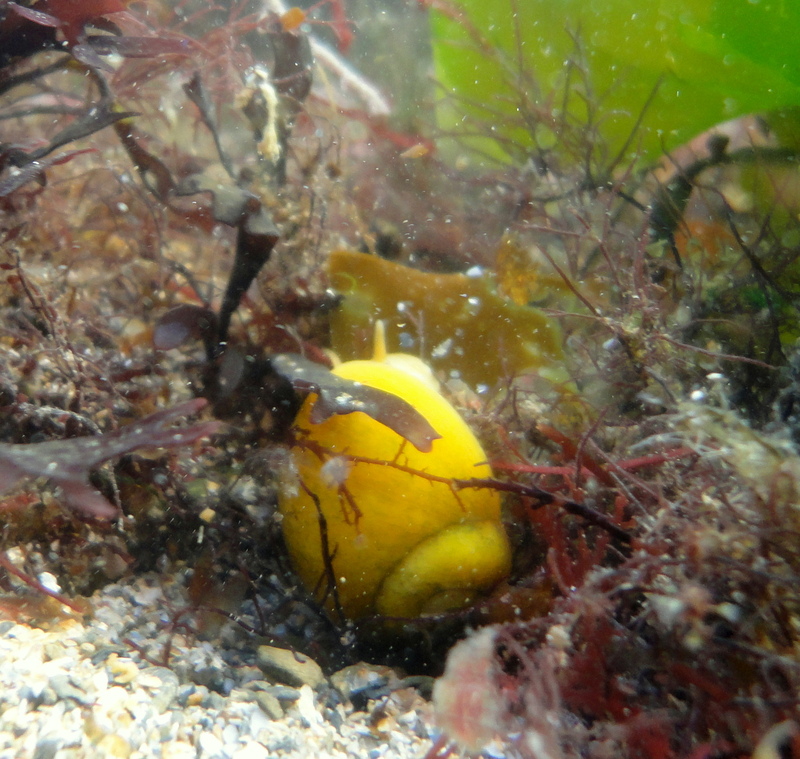 Easily recognised by their upside down cone shape, these yellow shells live attached to rocks mostly around the mid-shore. 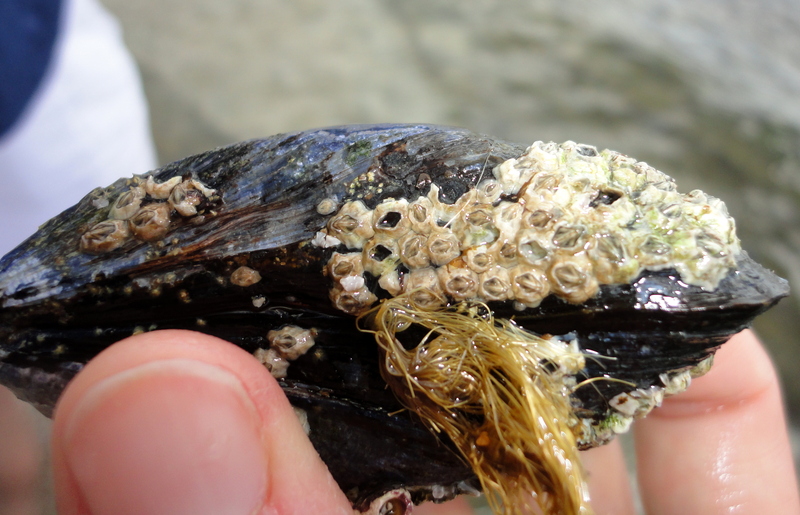 Blue rayed limpets – look out for these on kelp. 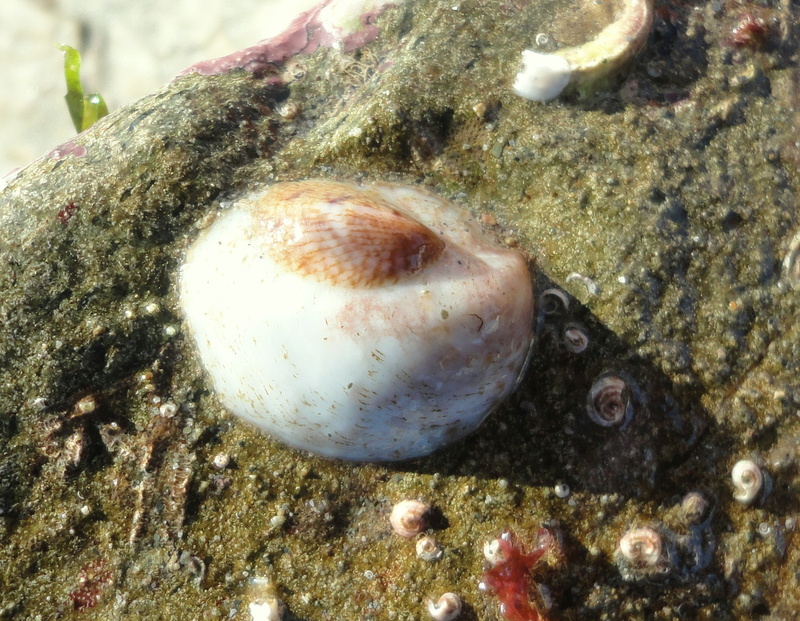 Slipper limpets are a non-native species. Underneath they have a little white shelf across part of the opening. 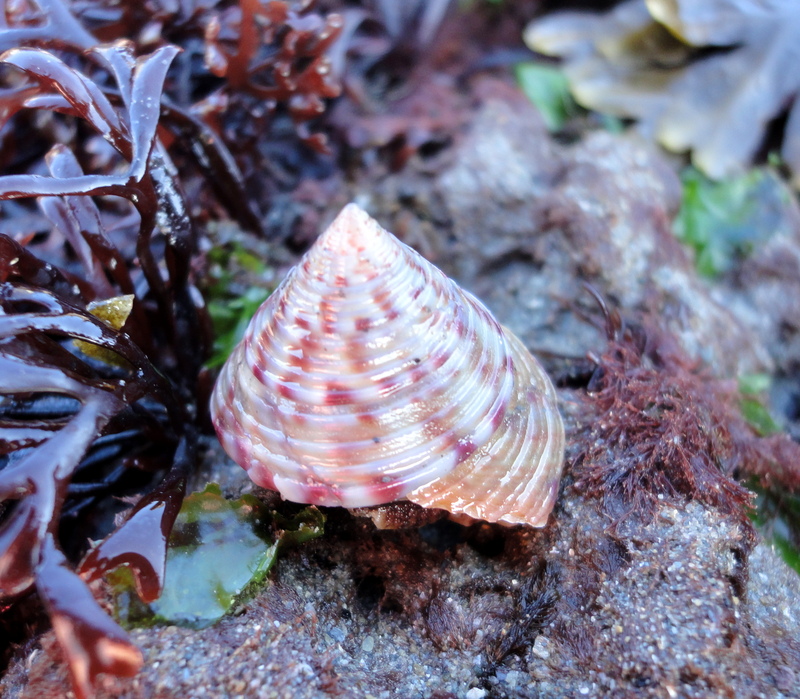 Here’s a flat periwinkle on the move. These little snail shells don’t have a pointy spire. They come in lots of colours, even stripes or chequer-board patterned. 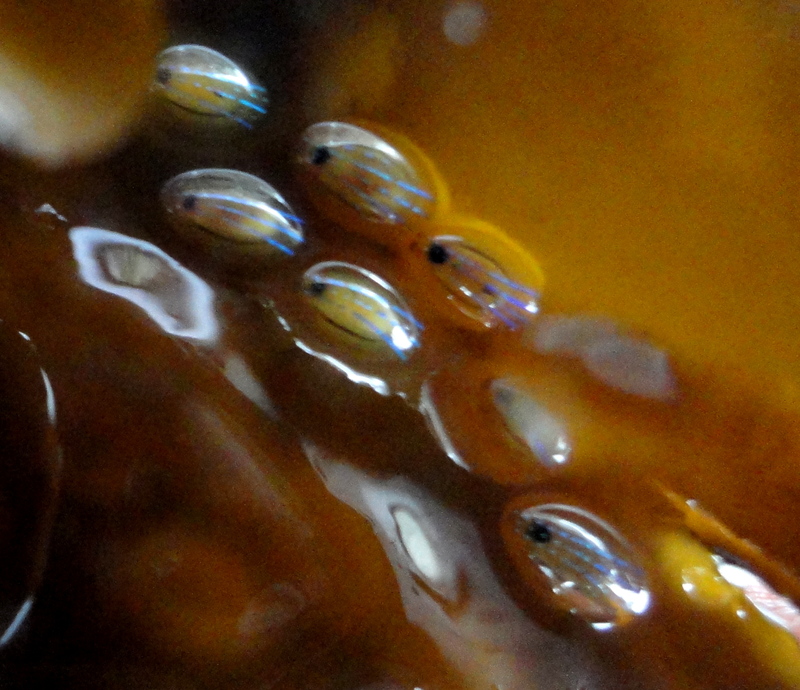 They have a round or tear-drop shaped opening underneath. A common periwinkle making tracks in the sand. These are brown shells with a fairly blunt spire. Underneath look for a round opening. 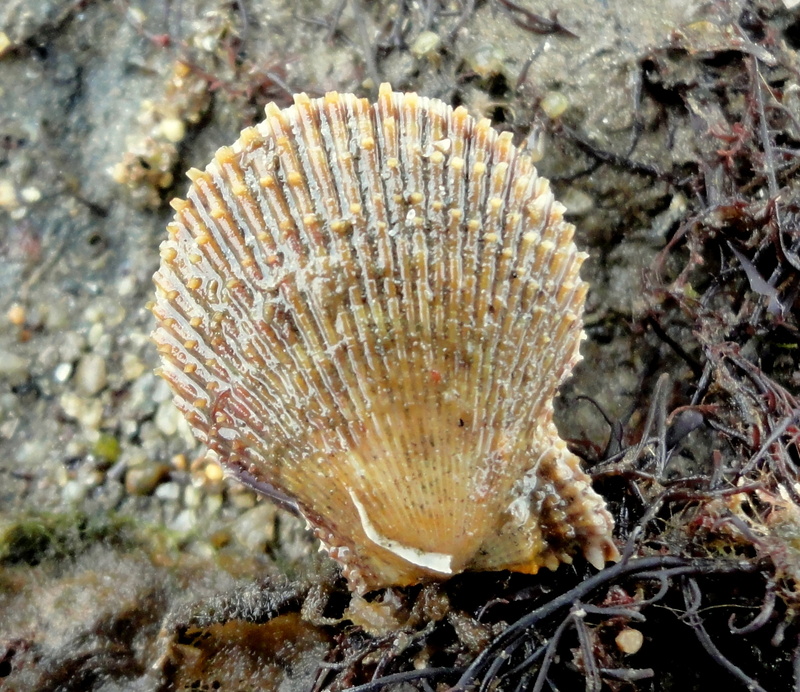 There are several species of top shell. All of them have a mother-of-pearl gleam to the round opening underneath. Shells that have been worn down by the sea may be mother of pearl all over. 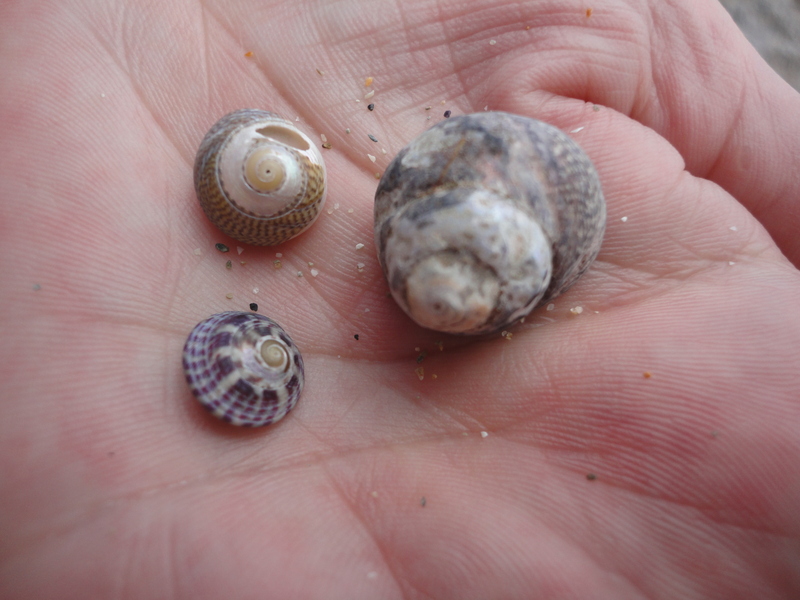 These look a little like the common periwinkle, but the spire is pointier and they are very variable in colour. Underneath they are very distinctive – part of the opening juts out forming a narrow, grooved canal. 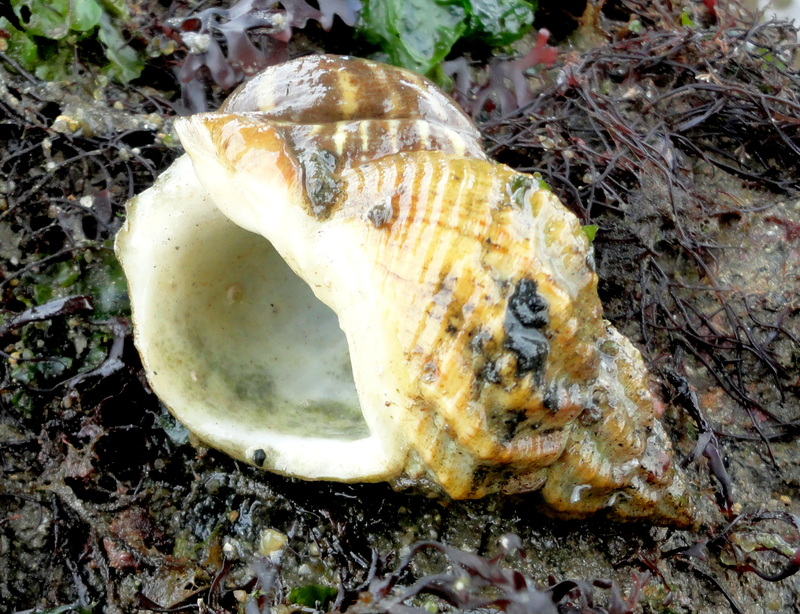 This whelk shell has an anemone living on it. 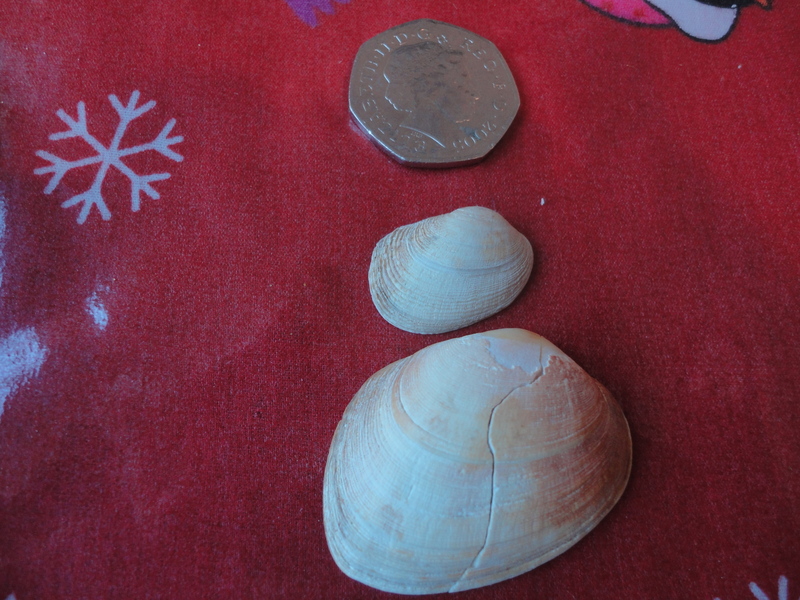 These are the biggest snail shells you’re likely to find on the shore. 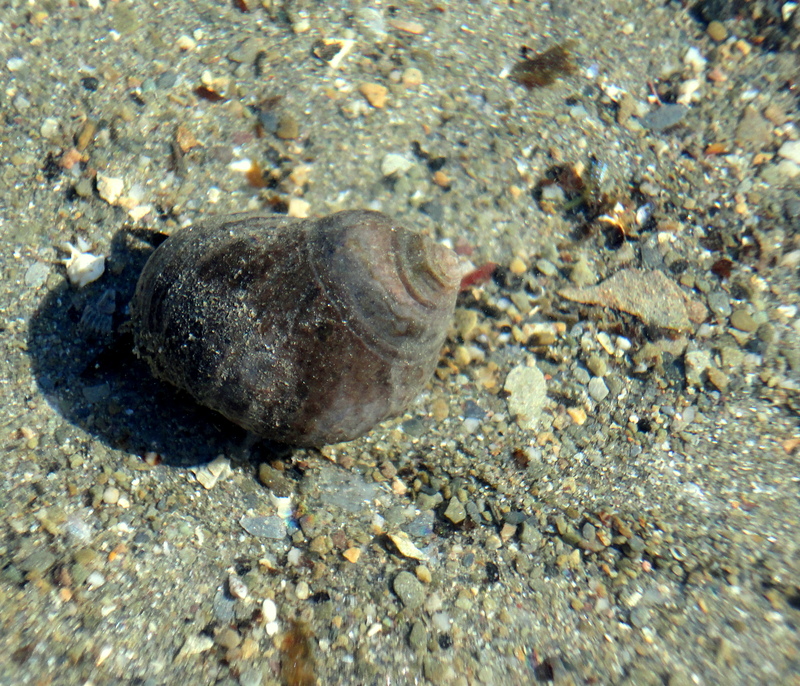 Their shape is similar to the dog whelk. They are a creamy white colour with clear whorls and lots of lines and ridges. These are hard to find as they’re about the size of your little fingernail. White and rounded on top, sometimes with a peachy tinge and a few spots. 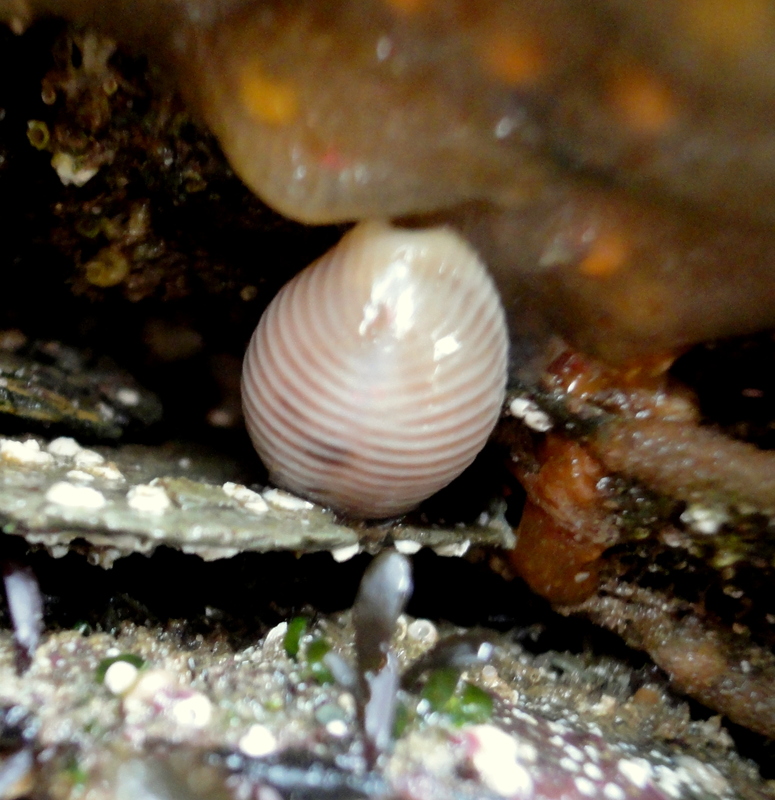 The opening on the underside of the shell is a long slit. These are shells which are in two halves, joined at the top by a hinge. You may just find one half one the shoreline. With two-halved clam shells, look at the shape carefully. 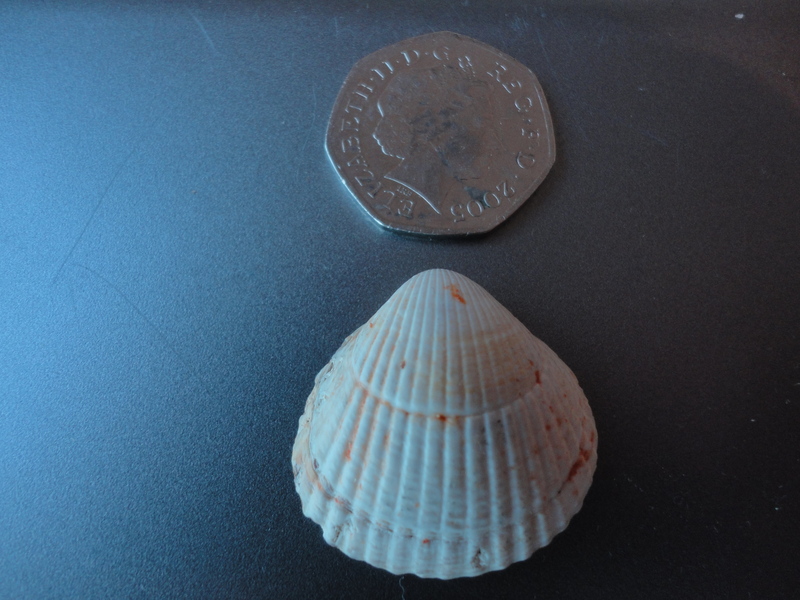 Is the shell the same shape on both sides? What colour is it and does it have patterns? Are there lines and ridges? These blue-purple shells are an oval shape that tapers off at one end. Shiny on the inside. 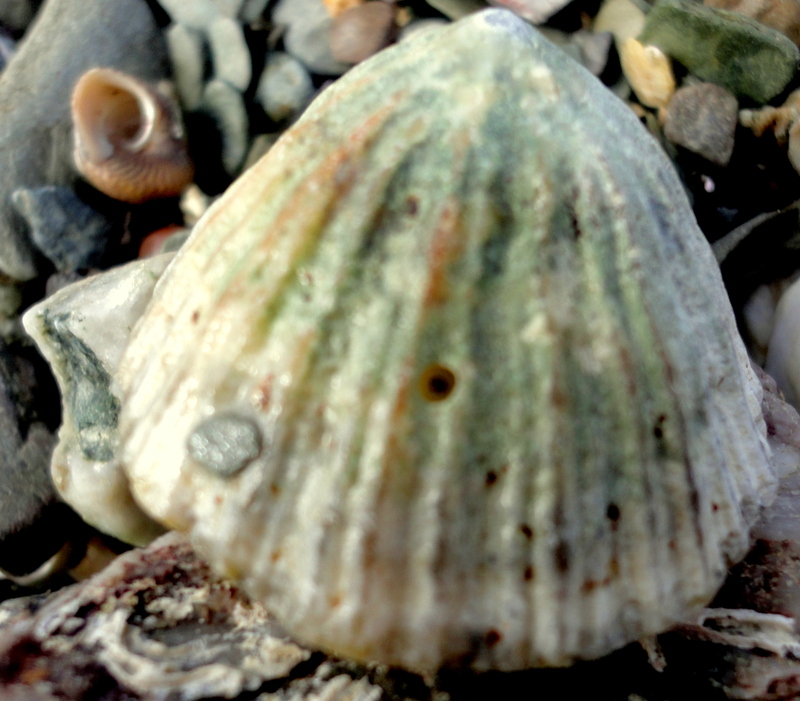 White to yellow with strong ridges (ribs) running out from the hinge of the shell to its edges. A similar shape to the cockle but wider, smoother and always with a lovely patterning. The classic seashell. These are usually pinky-white, large, rounded on one side and flat on the other with big flattened ribs running to the outer edge. 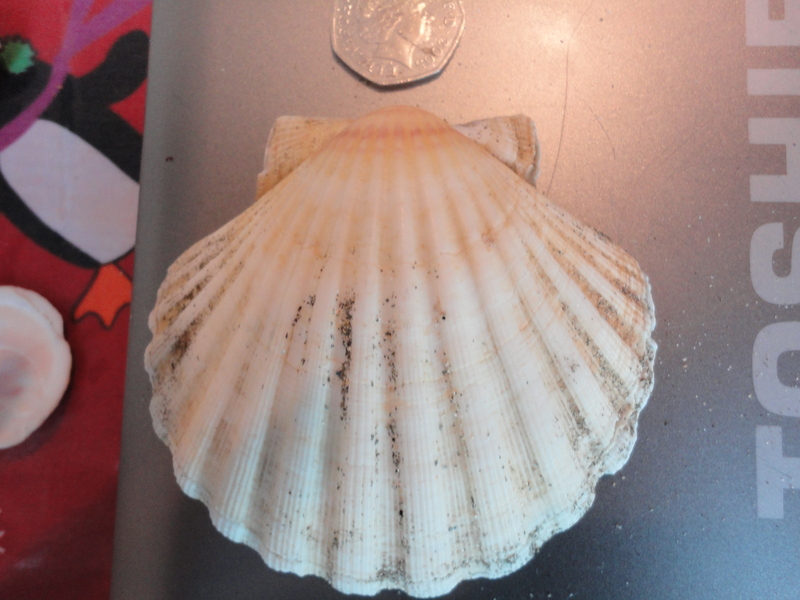 Much smaller and more delicate than the scallop, these shells have little wings at the top -larger on one side. Sometimes with bright patterns. So-called because of their mottled patterns. Blunt-sided oval shells. The tops of these shells look as though they have been slightly folded over. Small, with variable colours and banding depending on the species.